Climate change is not a myth. The global environment has changed drastically in the last few centuries especially since around the 1950s(1). Melting glaciers, disappearing forests, raising temperature, frequent floods and storms vividly express the drastically changing environment. These changes have not only caused catastrophic damage to the lives of all the living species around the world, but have also become a threat to future generations of all living creatures on the planet. One striking example is the recent report by World Wildlife Fund (WWF) titled “The Living Planet 2018” highlighting that around 60 percent of the animals have already disappeared from our planet in the last five decades alone(2). Countless similar environmental reports by scientists from all walks of life have, for a very long time, been alarming us that the planet is under severe climatic crisis and that immediate intervention is needed to for us to recover from the worst crisis in our entire history. Recently the 24th United Nations Climate Change Conference was held in Katowice, Poland. One of the important events that took place at the Conference which we noticed was the short but enlightening speech made by Greta Thunberg, a 15-year-old school girl from Sweden. Her name has captured the world. By refusing to go to school until the politicians in Sweden step up and do something about the growing climate crisis, she represents the younger generation – those who will live in the consequences of the climate crisis caused by a system created and maintained by the old and new forms of capitalism. Such movements led by younger generations are now surging around the world. In light of all this, we, the editorial team representing students from around the world, have been contemplating on our role in this important and ongoing struggle for climate justice. At the present stage of our planet’s history, we believe that it is necessary to look beyond the public discourses in our respective countries alone. It is more than ever important to create a global, public, and critical consciousness, or civic intelligence, to address the growing global problems today. This is why we would like to present an overview of the situation integrating our personal standpoints. We decided to write this article, not as climate change experts, but as concerned students who understand the seriousness of the situation and seek necessary, immediate, and constructive action towards stopping climate change for our future world. Let’s create critical student friendships across borders! In this unbalanced world where free countries(3), with different economies, populations, resources etc., are forced to compete with one another to maximize their profits in an international battle for economic supremacy. 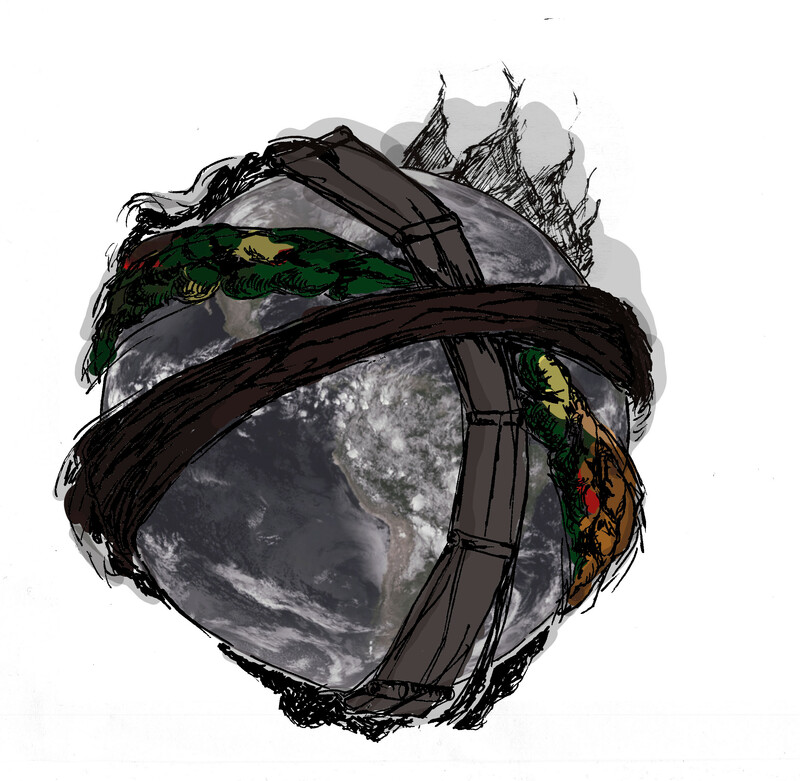 Multinational corporations and a model of market economy based on large bubbles of financial capital – where we see the so called economic growth and even the illusion of it – have created a system in which the destruction of the environment is almost a necessity in order for countries to sustain their progress. Between the developed and developing countries, there are interconnected and complex powers and ideological dynamics at play through historical development. After the Second World War, the USA appeared as one of the most important economic industrial centers in the world, only matched by the Soviet Union, Western Europe and Japan. Today some of the countries that used to be colonies of these economic centers are rising up as independent strongholds as they follow the industrialization process that the developed countries went through by building factories, producing and consuming products, and promoting a western-middle-class lifestyle. China with its economic opening up to the world market in 1978 has on the one hand experienced unprecedented growth of wealth, and rising living standards for many millions of people, and on the other hand has been heavily influenced by the consequences of the under-regulated market forces on both people and nature. India has a similar developmental path as the liberalised economy was introduced in the 1990s. Meanwhile, we see that the so called “developed” countries, the economic centers, have been moving further in the name of progress that they have exported most of their major production to the East and the Global South, where production cost and wages are lower. On the one hand, they claim to help the developing or oppressed countries participate in the global economic order through rendering technology, expertise, professionals, and products, while on the other hand, they enter new markets and find ways to shift the wastes of production into new lands, causing serious damages to local habitats, ecosystems, and people’s lives. While the wealthy western countries are attempting to convince everyone that they are the leading nations in the green transformation of capitalism which they so much adore and force other nations to follow(4), countries in the Global South have been battling with the more direct consequences of climate change. Already millions have been forced to leave their homes in many places. And an unacceptable large number of people have lost their lives due to the extreme weathers — one can say that those people have indirectly been “murdered” by climate denying countries like the USA(5). The same western countries have led an “example” of historical experience of industrial development through market liberalization. Many countries around the world today are reliving that experience to feed the mouths of the hasty growing populations, the growing needs of the growing global middle classes with advanced consumer products and luxuries. As if that was the development process for all societies, and that the current state of developed countries is the ideal state for all. This belief is deep in many politicians’ and people’s minds when developing countries try to revitalize after their colonial history. Perhaps it can most properly be said that they have been caught up in the global economic system – an ideological deadlock – and there is no easy way to imagine otherwise, other than participating in the game for growth. It is clear that despite the many advantages liberalization has had for the efficiency of capital, there have also been severe downsides for nature and man, reduced to mere resources in the production apparatus. The products produced by liberalized economies are made to last only a few years before they break as they have been programmed to. Even if there is so much talk about the anthropocene, it seems that development and wealth has been taking hold of man and societies, now subsuming even nature. Some researchers have proposed that we also call this new era the capitalocene, as humans in our present era don’t have the political freedom over our society, but capital has. If we were really living in the anthropocene, or the so called humanistic society: we as conscious intelligent human beings would also be able to prevent this catastrophe from happening. But we are not, and thus many of us often feel a deep sense of powerlessness when talking about climate change. As it is with most critical issues, the political aspect of climate justice cannot be negated considering it is filled with controversies and arguments. From the COP24 being hosted by a coal-friendly Polish government along with coal companies as sponsors for the event, to climate change deniers like Donald Trump leading nations, and to the ongoing debates on the responsibilities and roles of developed and developing countries in combating climate change. We believe that the first step towards the fight against climate change for everyone is consciously getting aware of the climate change issues, what we call consciousification(6) – we have to realize that climate change is a political issue first of all. It is a question involving all of us and the future of our societies. While it is generally well known that there is an international consensus among countries to curb emissions and transition to a greener economy, a few of the major countries’ governments, such as the US and Brazil, are now completely negating climate change. And even when supposed climate change advocates come into power or get into influential positions, they seem to act more as preachers than practitioners. So we often see much gets said and nothing gets done. We, like many others, are still asking ourselves: Why is the emission target to halt global warming below 1.5 degree not met? Why have our political regimes not yet been able to materialize any significant change or reform to stop climate change? Photo by people who witnessed the recent floods in the state of Kerala in India. The countries and people most exposed and harmed by climate change, from this fact, seems to be those that the rich countries and the leaders care less about. Today there is a great deal of talk about reducing the CO2, which undeniably is of utmost importance, while nobody seems to be truly interested in helping the people from the climate change affected areas. There is no investment value in doing that. Shouldn’t a real democracy try to protect all of its people? Not just those with power and money? With this in mind, we are starting to realize how much a this beastly desire to maximize the economy has caused irreparable damage to the environment. But the leading nations, in the process of increasing their GDPs, are exploiting their own and other countries resources don’t seem bothered much about this fact. It is becoming evermore clear that this imbecile behaviour of a few powerful human beings has put the lives of all other living creatures and the future generations at stake. These questions to the responsible parties(8), are those that should guide us. They are critical questions leading us to the truth that even though they insist on their mandate to rule us and our planet; Politicians, bureaucrats and capitalists cannot do what is sufficient that we potentially can: We, as the possible majority, have the the power to critique, to question, and to become conscious. We can and want to prioritize the future of humanity more than the momentary needs, of power, wealth and unsustainable production and consumption. To do so, we need to be able to liberate our minds from their dominating ideas to create this power, to survive, work and create a humane world with freedom and rights for even nature.We have to break away with the old ideas created by our culture of overconsumption and unsustainable production. We have to let our imaginations free from those chains of their idealized lives in falsely rooted wealth, we have to decolonize our minds from these needs created by our exploitative system. This consciousification is an entirely rational process of discovering truth; the truth for all of us. Truth of survival, minimality and the idea that a good life is possible for everyone. It is clear from all these facts that our societies must make significant transitions far beyond the models of the 20th century. In transitions, education plays a vital role in helping to alter individuals attitudes and behaviours in the way we live, produce, consume and interact with the larger societies and ecosystems. For education to fulfill these highly important roles, it is necessary that we urge and influence the educational institutions, systems and policies to adopt and commit to new values in which education is viewed integrally connected with the holistic change and development of individuals, communities, and societies as opposed to the dominant values that treat education as simply about knowledge, skills, individual development or job preparation, fulfilling mostly private and short-sighted interests. Important questions are how the education systems and processes can prepare and equip people to not only adapt, mitigate the current consequences of climate change but also imagine and build more sustainable and equitable social structures for a different future? What new knowledge should teachers and students engage with? What kind of critical pedagogy is necessary to help students build informational and action competencies to engage in systemic change for the sustainable transition? And what are the responsibilities for academia and scientific researchers in pushing the frontier of knowledge and making them productive to address the challenges of climate change? Thinking about these questions, we recognize that many changes must be made in education. Starting with educational goals, climate and ecological literacy should be added as one of the important goals of education; Climate change science should be included in the curriculum at all levels of the education systems, teaching younger generations, youth, adults and the wider public the causes, consequences and adoptable actions concerning climate change; educators should adopt new pedagogies that enable students to develop critical knowledge, strong action competencies towards understanding and addressing climate change challenges, as well as developing authentic and respectful relationships with nature; The learning environment for students should go beyond the walls of schools into the actual fields where climate change phenomenon, activities, discussions, policies and solutions take place, so as to connect students to the actual systems and communities for making change and give them opportunities to become a part of the changing forces. 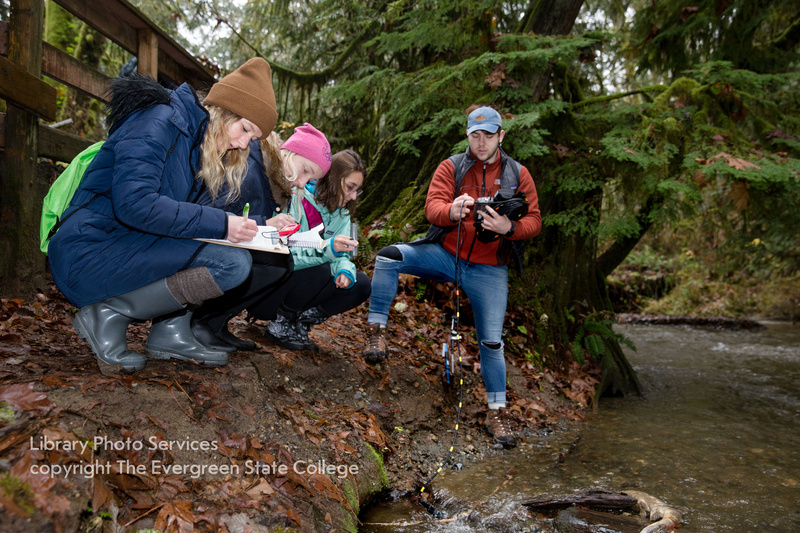 The Evergreen students of Environmental Science Foundations visit McLane Creek Nature Trail to observe the late-season salmon run on November 29, 2018. They took notes on the salmon spawning activity, as well as reading of the water at different locations along the creek and pond. Universities shape actors that are likely to get involved in leading projects and thus universities have a lot of stakes in preparing critical, globally minded activists dedicated to fight climate change. They can do so by adopting critical and interdisciplinary approaches towards climate and environmental issues in research, employ engaging, participatory, and empowering pedagogies to involve creative minds to know about their responsibility and roles in the climate battle. Already some critical universities are pioneering to integrate climate change and sustainability education into curriculum, pedagogy, research, and infrastructure on institutional levels. 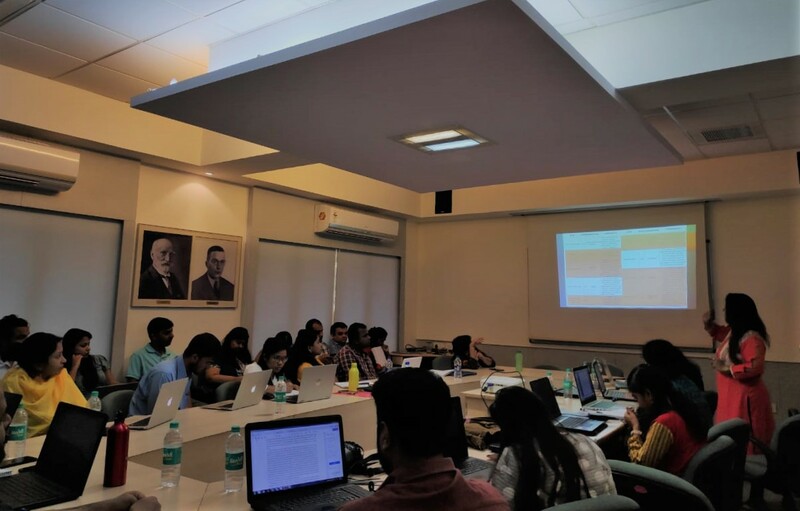 For example, Tata Institute of Social Science, in India, is one of the few universities in the country that has its own centre on Climate Change and Sustainability Studies. One of the biggest benefits of having such a centre in campus has been its continuous insistence that climate change is not an individual issue and thus requires collective effort, at every level- local, national as well as global. At the critical Roskilde University in Denmark, despite the university’s leadership and board’s decision to invest in coal, oil and gas. The students have decided to stand up last summer and co-founded a national green student movement gaining wide support from all walks of life. They demanded a curriculum that includes environmental education as the basis of every study program and succeeded to implement it for at least one semester. Another example is the Evergreen State College in Washington State USA. Here, over half of all academic programs address sustainability topics to help students increase awareness. 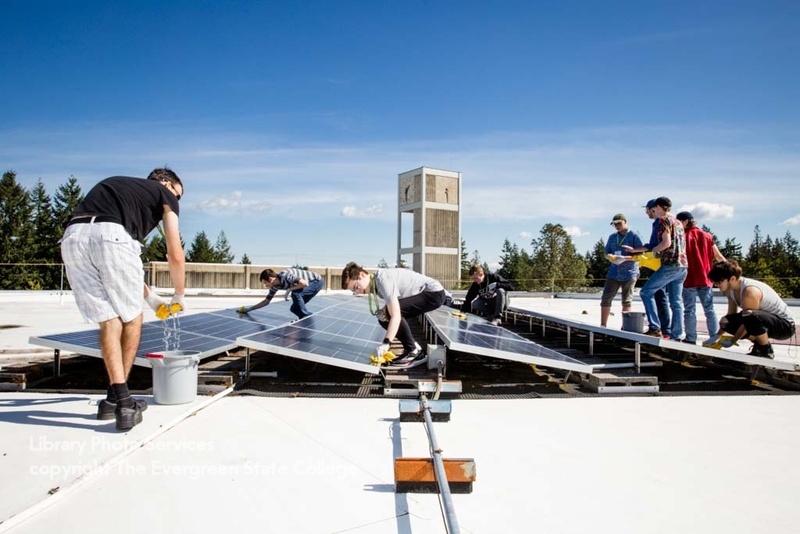 In the past few years, students at Evergreen have pushed for sustainable changes on campus and on city levels. For example, In 2018, several Evergreen students crafted a “Forest Management Plan” for the Evergreen woods to ensure that they are protected and healthy in the long term, because having thriving forests in the region helps sequester carbon from the air into the soil; In 2017, students have pledged and pushed both the City of Olympia and Evergreen to move towards 100 percent clean and renewable energy by 2035, and the College itself to become carbon-neutral by 2020. One important question keeps us from reaching these important ideal for education; how can we be able to influence or change our education systems if we students are consistently kept away from power at the universities and institutions(9)? This question leads us to the next chapter. We as students from different parts of the world have a heavy responsibility. It is true that we are not the people responsible for making the decisions or choosing the environment hostile path for development, economy and politics(10). But for the most part, university students are those who grow to inherit powerful positions in society(11). It is true that students around the world face many barriers and hurdles – such as pressure of education loans, pressure for survival, pressure for conforming to a homogeneous culture, or suppression from authorities – when it comes to taking actions towards important social issues, deviating from professional trajectories. Mainstream education despite its immense value has confined students in a system as we know by guiding us to live in the story of how things are, not so much how things could be. Yes, it will take some loses and sacrifices to imagine and create a new future, beyond the supporting systems we now have. But those short-term and monetary losses are far less important compared with degrading earth caused by our human activities. And is it not also the beauty of life that we exercise our creative and critical power to construct a more sustainable, equitable, free world for most people and our other earthlings? Still belonging to a minority of our populations, and with our extraordinary and privileged access to knowledge, information, resources and what can be called “shortcut-ticket” to a life in a privileged and powerful position – that be in the state’s bureaucracy, the private sphere or the cultural elite. We, the students, have an extraordinary responsibility in the fight against climate change. It points us to the fact that we cannot simply wait for others patiently. Whether that be the truly underprivileged or the proletariat with minimum means to even sustain their own lives, or the powerful classes who are relying on the old system of oil, coal, gas, pollution and oppression. As history has shown us, students can play a highly significant role in leading change and solving critical problems facing society. In our views, we must reconstruct the active roles students and youths have in affecting social change, which was a prominent social phenomenon in different eras during the 20th century(12). Evergreen students and staff volunteer around the city for the annual Day of Caring event held in conjunction with the United Way of Thurston Co., on September 22, 2017. Every incoming student for the 2017-18 academic year chose a project to volunteer with. Cleaning the solar array on top of the Library building. We believe it is high time that every one of us takes up responsibility in the fight against climate change. Students of the 21st century should not be ignorant of the causes and consequences of climate change, and should not denounce or disassociate with the ongoing and coming struggle. Instead, all of us, for this change to come, must wholeheartedly support this struggle of life and death for our future. But what does this struggle imply? First we all must keep pushing for every kind of change until even the minimum acceptable has been reached: From the highest political goals to the small changes in our daily lives and habits that lead towards the vision and ideal of a climate-friendly future – all must go hand in hand. We must also do everything we can to promote and construct climate change consciousness among all of us students and in the general public discourse. Student bodies, student magazines and media, like ours, must keep climate change as one of their top priorities to cover – everyday, every month, until the day of change will come. Each of us should also aim for a healthy, deep, and respectful relationship between nature and nurture, while we organize, direct, concentrated and sustained efforts to force actions from our institutions. Meanwhile, we must try our best to push corporations to move away from the easy road of environmental hostile capitalism – at least we must ask them this: Can they or can they not, live up to the minimum of green capitalism that their PR-offices and CSR offices are so assiduously promoting to the public? We even think that employers and even (uncritical) employees should be equipped with an ethical approach which questions policies and highlights an environmental agenda into their work – and we must do this by persuasion. For truly, what do we really value? The immediate sensation of crisp dollar bills(13) between our thick fingers? Or the wellbeing of our planet and our children? The change that is going to come, will only happen through our participation, and unless each of us confront the climate injustice and irrationality wherever we find it, we cannot wholeheartedly consider ourselves as the true part of the solution, but perhaps instead the problem. Bedsteforældrenes Klimaaktion (The Grandparents‘ Climate Action). A sign reads: “All politics is climate politics”. 50 years have passed, since students from all parts of the world dared to stand up against inhumane systems: the Vietnam-war, censorship, oppression of both the rights of human beings to exist as well as their right to imagine, live and create. When the world faces a global catastrophe, and when people in power lack will, imagination and humanity to stand up to the real issues, we must look back in history and get inspired by the courage of millions of students, young people, and workers of 1968. They rose up against a stagnated and oppressive old systems of both East and West to build up a egalitarian democratic society. Though the situations have changed today, the battle is very much the same, a battle against oppression, exploitation, inequality still continuous in different dimensions, and the old ideas sustaining them. Planet earth is rich with the right conditions and enough resources to sustain living creatures within it. The lives of all living creatures in this planet are interlinked with one another. Right from the bees that visit the flowers in our garden to the large blue whale that swims at the farthest end near the poles, they all somehow impact our lives and all of our survival are interdependent on one another. Though the extinction of a particular species does not impact our lives immediately or directly, in the long run, it will surely affect us in one way or the other. Therefore, it is important for us to understand that we are part of nature and therefore we should try to make our societies live in harmony with it again, rather than trying to control or own it. We have the right to live, so do the other living creatures. We belong to nature but do not possess it. We have the right to enjoy the fruit but not to cut down the tree. We have the right to take care of each other, our communities, our countries, our family, friends and people we do not know yet, but not the right to exploit them. In order to bring more awareness and discussions to the serious climate change topic that none of us can ignore any longer, we decided to make it the FOCUS topic for the magazine. But it surely is not enough. We believe that from now on, it will also be an important and essential part of our magazine that we write about climate change and cover the brave critical students (and their movements around the world) who are fighting against it, against the systems, habits, governments and industries causing it. Through our published articles in this edition, as well as future ones, we want to bring more research, knowledge, insights, and positive action towards stopping climate change, protecting the environment, and fighting for climate justice. We hope that you would like to join us in this mission, as we surely cannot do it on our own. In times like these, we need to stand together. So let us stand together in the coming climate strikes in cities all over the world. Let us go on the streets to proof that we are a community fighting for improved climate policies. We are not alone, if we choose to and join the global action. See you on February, 1st and March, 15th. We will be there. Thea, Shreya, Lisa, Adrian, Jaganth and Adriana. 3. Many countries, specially underdeveloped countries, are still under a semi or neo-colonial yoke: they are not allowed to develop a proper state, proper protectionism, and a proper inner market and economy, but forced to rely on the outer market, often dominated by western capitalists. 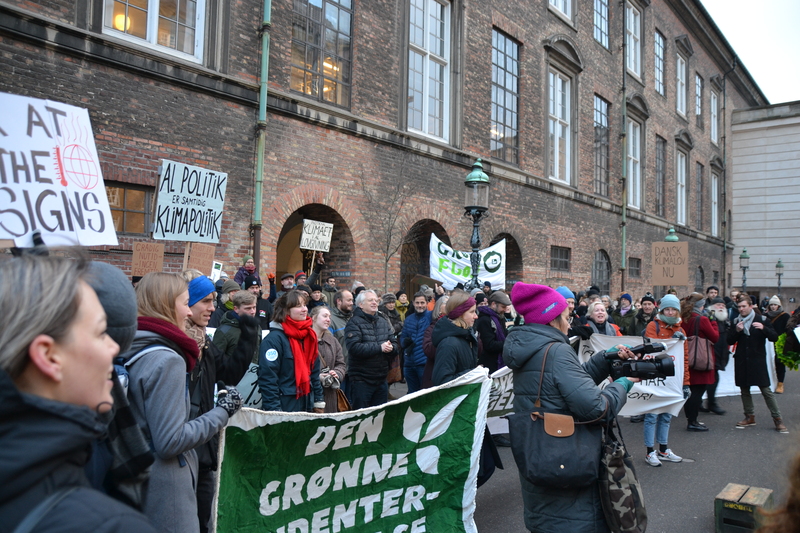 4.Lately the so called climate minister of Denmark, has extensively been claiming Denmark to be such a “leading nation”, only to be revealed as a liar by the spokesperson for the Green Student Movement on live-TV. The minister and his men of power had systematically removed the massive reliance of consumer products produced in the East and South from the statistics. Basically all consumer products, such as clothes and devices and even most food are nowadays being produced outside these economic centers, to lower production cost. By including these import of products Denmark, as most other wealthy countries became one of the true leading nations in CO2 emissions! 5. Even though the description is not entirely accurate, as it is not murder in the ordinary sense, the picture does though have some truth. Philosopher’s like Bruno Latour has called the withdrawal from the Paris Agreement by the USA as a de facto declaration of war against the countries and their people who are suffering mostly from the consequences of climate change. 6. A concept we have been inspired by the pedagogue of the oppressed; Paulo Freire. 7. Data obtained from: The Guardian. 8. Just as Greta Thunberg said at Davos, climate change is the product of a few people, and can be stopped by a few people: the people of power. At the same time, many of these people of power are entwined in a system of “needs” that they have created: You cannot ask a businessman to stop climate change, because with the logic that he is operating with, it would mean that he should stop profiting. For a politician, it would mean that he might need to resign, or lose his position and political influence supported by lobbies and voters. 9. Since 1968, many countries where the revolt was a success, were able to establish significant democratic influence of the students, specially in Denmark. Recently though, due to the alignmentation and commercial directioning of education, the mandate to participation has been stripped or reduced to a “advisory” position in the external decision making Board of Directors, consisting more and more of people from the “private sector”. And that is not to say that at most places even the ideal of democracy at universities (or even workplaces for that say) are far from reality. 10. We must remember that this responsibility that we have as students, however, doesn’t mean that the others are irresponsible: For truly, the true responsibility lies in the people in power. But they have chosen, for the most part, to do little or nothing. They have proven to be too immature, as Greta Thunberg told them at the climate meeting in Katowice, to bring the world of the mess they had helped create. 11. At least it used to be like that in the past, where students were taught to become officials, lawyers and priests. Presently, and luckily, university education is something becoming more and more accessible for students everywhere, with what has been baptized as the “mass-university”. In fact the mass-university pursues the noble goal that larger part of the people should be able to enter higher education, once restricted to the upper classes only. Though the problems and contradictions in this process has been addressed by many, it undeniably still is an expression of democratization, and one of the necessary steps for our societies to move closer to democracy. 12. Such as the student and youth who led the New Cultural Movement in the 1910s and 1920s in China, and the global 1968’s student movements. 13. Or Kroner, Pesos, Euros, Yuan, etc. 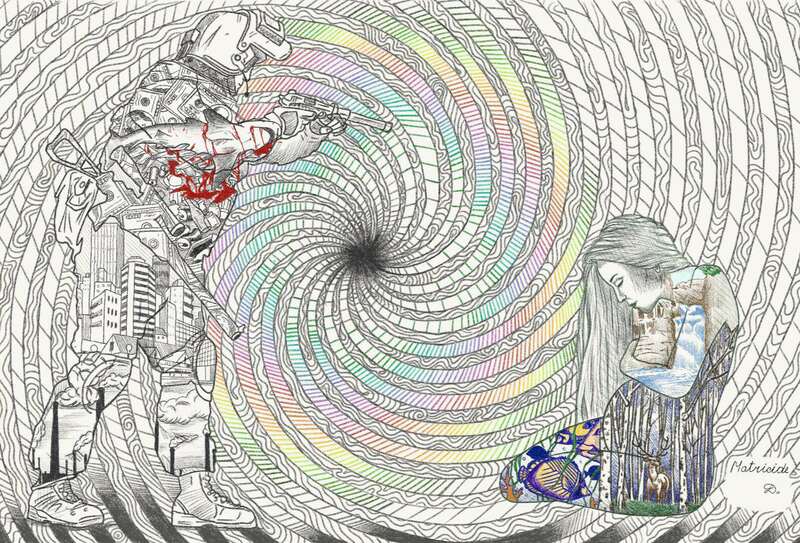 Critical Edges is an international magazine made by and for critical students around the world. Our hope is for many different students to have a platform to share their experiences, and for other students to learn about the problems that the students around the world are either working with in their academic lives, or experiencing in their daily lives. Through this, we want to promote mutual understandings, dialogues, and collaborations among our global student community who actively work for the betterment of our societies and education systems. Hello! This is an excellent and informative article on the various aspects/ causes of climate change. I agree that wealth is often a negative factor in influencing how people treat our environment. People with less monetary affluence often (though not always) have a deeper connection to the natural world, and are more respectful and aware of historic, ecological ways of living that have been passed down for generations. Thank you for publishing it!